I sit on the terrace in Bukavu and look out over Lake Kivu. In the neighboring house I can hear a rooster, even though it is dusk. The sound is mixed with the laughter of some playful children. My head is filled with expectations for tomorrow's departure to the village of Numbi in the southern Congolese province of Kivu. At last, it's time to get out into the field! 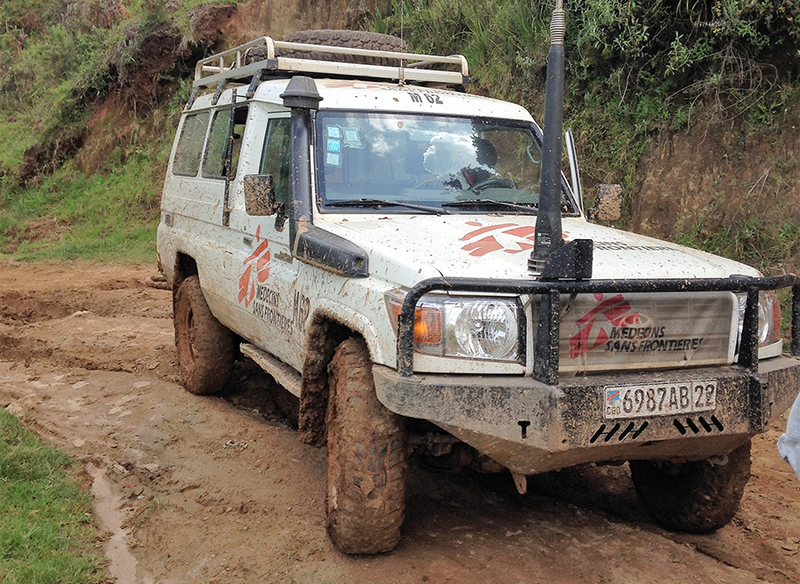 Since I was admitted to Doctors Without Borders last spring, it has been a tense wait to start my first assignment. I was first supposed to start at the end of the summer, but it was postponed in the autumn and then again in the winter. During the autumn there was a slow back and forth, while I tried to schedule shifts and be on-call at the emergency ward where I work back home. My friends, family, colleagues (and of course the people in charge of the rotas at work) all wanted to know when I was going to the field, but I didn’t have an answer. This in-between state can be called ‘Doctors Without Borders limbo’, but now it’s over. The last weeks before the departure were devoted to saying goodbye to those close to me and to a preparatory course in Barcelona. I had to learn the Doctors Without Borders protocols for how various diseases should be treated. I expected the most common diseases here in eastern Democratic Republic of Congo (DRC) to differ a lot compared to home in Sweden. A suspected bomb at Bromma airport at the start of the trip meant my flight was delayed. Because of this I missed the connection in Brussels and was rebooked to another airline. I arrived in Rwanda's capital, Kigali, 12 hours later than expected, but you have to be flexible when working for Doctor Without Borders. From Rwanda, the journey continued by car to the Congolese border and then Bukavu, the capital of South Kivu province. The area has been badly affected by years of war, which have left their mark. The differences in infrastructure are striking after crossing the border between Rwanda and DRC. On the Congolese side, the roads have big holes. A peacekeeping United Nations force has been present in the area since 1999, but there is still tension between different armed groups, which causes difficulties for the local population. 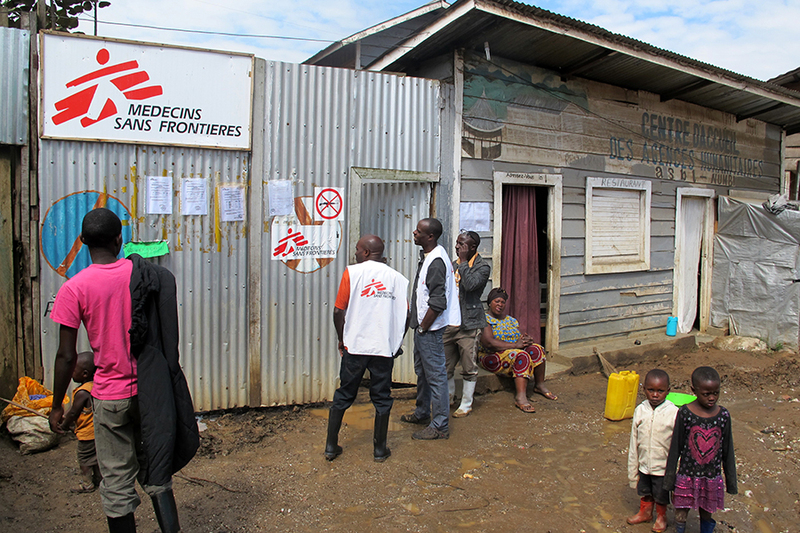 MSF has been working in DRC since 1981 and is currently supporting several healthcare projects, including the hospital in Numbi where I will work for the next six months. It has been a few days since I arrived at Numbi. It has been intense and full of new impressions. It has been a struggle to get used to and keep up with the French. The idea of ​​how I could be so stupid as to say yes to a mission in a French-speaking country has hit me several times. Further complicating matters, not everyone speaks French. Most patients in the hospital speak Swahili or Kinyarwanda. I have learned a few phrases in Swahili to greet patients and ask how they feel. - Habari Gani (How are you doing)? - Unaumwa na nini (What's wrong with you)? Sometimes I can figure out what the problem is, but if the patient comes with a long story, I am left standing there like a question mark. Fortunately, there is usually a local nurse who can translate between French and Swahili to facilitate communication. MSF has been working in Numbi since 2014 and has helped to transform the former health centre into a small hospital. The new hospital means that local people now have better access to healthcare than before, when they had to walk on foot or ride a moped for several hours along difficult paths to reach medical care. The problem of accessibility is one of the biggest challenges here in the mountainous south of Kivu Province. The current rainy season makes the roads extra difficult to use. The 150km journey from Bukavu to Numbi took eight hours. In two places the bridges had collapsed and we had to drive through rivers and small streams to continue on our way. Despite a four-wheel drive jeep, we got stuck once when a small bridge broke. Thanks to some helpful passers-by, the situation was resolved. In Swahili, the term hakuna matata is used, which means ‘no worries’. I think it may be my motto for this assignment!